Less than two days left to prepare and you can feel the excitement in the city: Siena’s tastiest event of the year is about to open its doors to visitors. Wine&Siena will take place in various historic buildings, with the town becoming a single, large location to taste and share wine and food. “We continue to choose and believe in Tuscany, and the city of Siena in particular, because this place is historically and territorially the true Italian capital of wine, and Tuscany – with its five DOCG microzones – is the European region with the greatest vocation for winemaking of excellence”, explains Helmuth Köcher of The WineHunter. The event was invented by the abovementioned WineHunter of the Merano Wine Festival and will take place Saturday and Sunday from 11:00 to 19:30 nonstop. More than 500 wines will be available for tasting, and the 160 winemakers present will be spread in various strategic places to allow citywide tasting all through beautiful Siena. All companies present will present their winning entries to the WineHunter Award, the certified quality award given by the Merano WineFestival tasting committee. 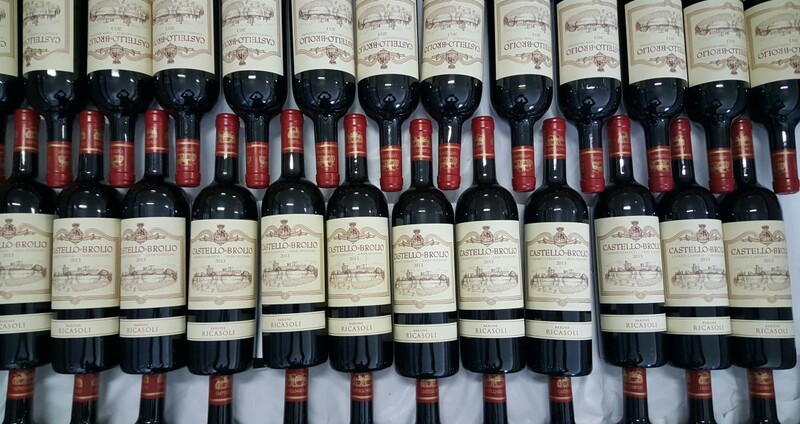 We’ll be expecting you in the Sala Peruzziana of Palazzo Salimbeni, at Table 92, where you can taste Castello di Brolio, Colledilà, Casalferro 2013 and Brolio Bettino 2015. This final wine was awarded a Tre Bicchieri rating in the 2018 edition of Gambero Rosso.